Super Giorno Francis Double Gold Large Need Help? 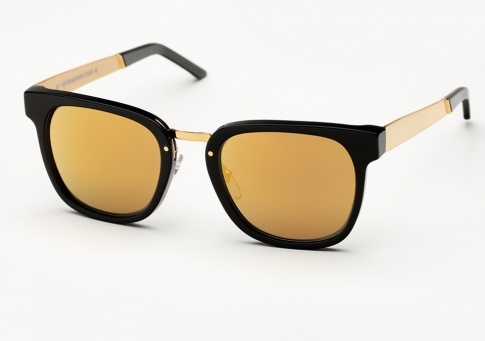 Super Giorno Francis Double Gold is a geometric silhouette with semi-squared lenses softened by flared temple tips and carefully curved brow arches. This version of Giorno features an oversized fit made from Italian shiny black acetate, gold metalwork, and gold mirrored lenses by Zeiss.